Wedding Sparklers: The Inexpensive Way for Guests to Have Fun! After all the stress of organizing your wedding day from making sure you have the perfect dress to organizing every detail from the wedding draping to the napkins on the table, you need something that is going to add a little inexpensive fun to the day. Your guests are there to see you get married, take part in the festivities and of course to enjoy themselves. One of the least expensive items you can add to your wedding that guarantees everyone will have fun is plenty of inexpensive wedding sparklers. As you look at the various sparklers for sale, keep in mind you are buying them for your guests and how they can use them to add a fun magic touch to your special day. Here are a few nifty ideas for using them to make your day that much more memorable. No one ever said you can't include wedding sparklers in your wedding ceremony. Why not hand one to each of your guests just before the ceremony. Then just as you take your first kiss as man and wife, they can light them and add a touch of magic to this memorable moment. Don't forget to hand out enough matches or lighters to ensure everyone can light their sparkler in time for that kiss! 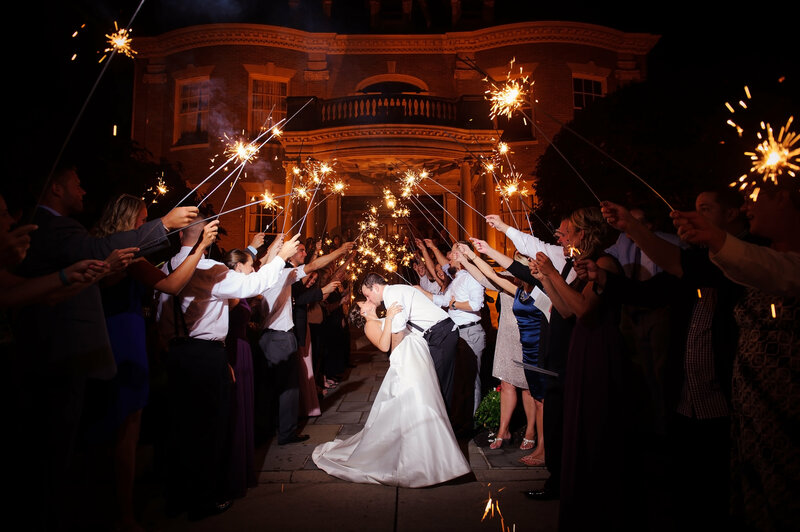 If you are trying to find a way to spice up your wedding photos and add a dash of charm, sparklers may be just what you have been looking for. The number of ways to incorporate them into your photos is virtually endless. You can use them in formal shots, reception photos, and with the permission of the person officiating the ceremony itself. Why not have your bridesmaids use them to spell out LOVE during your bridal shots or perhaps hold up heart shaped wedding sparklers while the two of you start your first dance? Be sure to check with the manager of your wedding reception location first, but most of the sparklers for sale today can be used inside. In fact, you can now buy smokeless sparklers that are perfect for indoor use. Hand everyone a sparkler, then let the DJ announce that you are ready for your first dance. Your guests can light up the room and your dance creating an incredibly romantic moment and the perfect picture opportunity. Traditionally, when the married couple leaves the wedding, the guests toss rice or confetti over them. Not only can this be painful (have you ever had rice thrown in your eyes?) but it can leave behind a big mess that someone else must clean up after everyone else has left. A much better choice would be to hand all your guests one last wedding sparkler they can use to create a tunnel of golden sparks you and your new spouse can walk through as you start your journey together in your new life.